Robotic autonomous-control technology will become more and more useful to the disabled in the future, as Hugh Herr can testify. 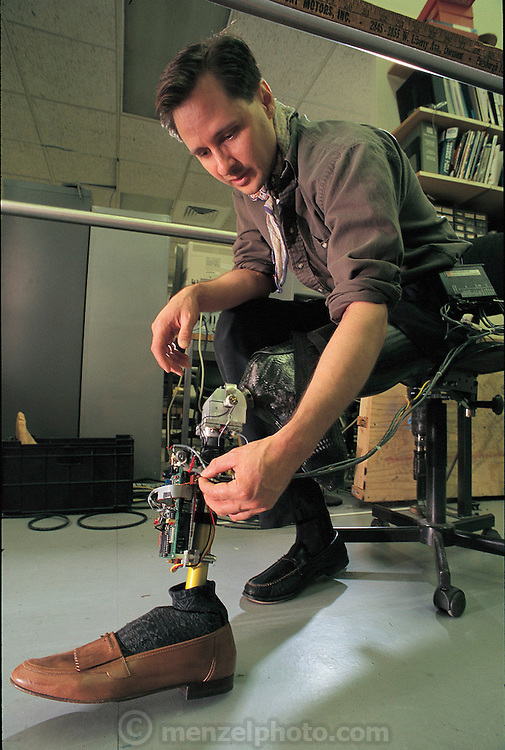 A double amputee, MIT Leg Lab researcher Herr is developing a robotic knee. Standard prosthetic joints cannot sense the forces acting on a human leg. But a robotic knee can sense and react to its environment, allowing amputees to walk through snow or on steep slopes now impassable for them. Cambridge, MA. From the book Robo sapiens: Evolution of a New Species, page 181.